The morning seawatching produced a party of five Velvet Scoters, a Goldeneye, two Red-breasted Mergansers and a Great Skua along with the now regular good numbers of Red-throated Divers, Gannets and Guillemots. 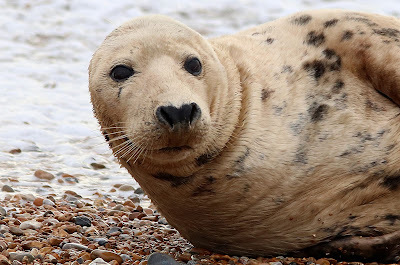 Two Porpoises were feeding off the fishing boats along with a Grey Seal. 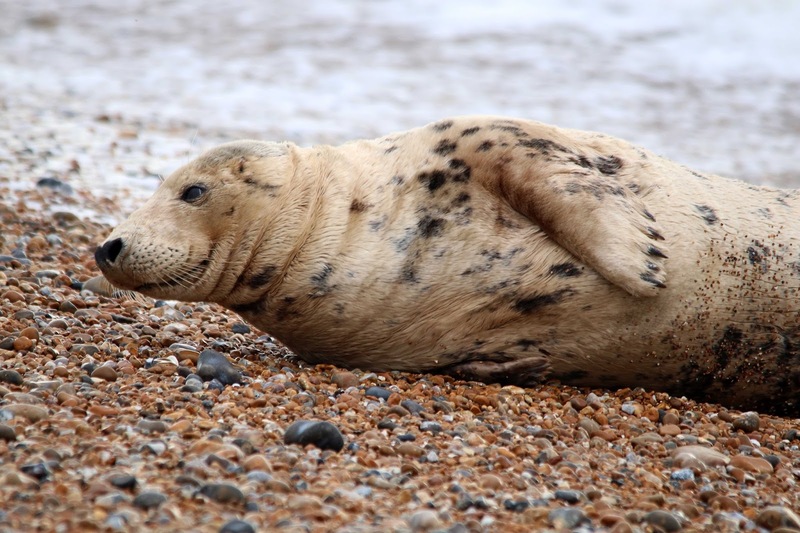 In addition, the apparently sickly Grey Seal was also on the beach again.The RSPCA were informed and a warden duly came to check it out. As it showed no obvious signs of injury or illness (and was actually quite feisty) it was decided to encourage it back into the sea and see if it reappears on the beach. If it does then an attempt may then be made to take it into care. The Stejneger's Stonechat was still present in the area to the west of Kerton Road Pit and the Ring-necked Duck was still on Cooks Pit at the entrance to the RSPB Reserve.